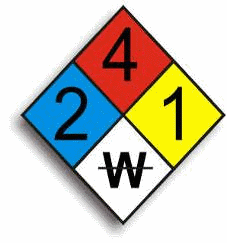 OSHA is proposing modifying the Hazard Communication Standard (HAZCOM) with the Globally Harmonized System of Classification and Labelling of Chemicals (GHS). Over 40 million workers in more than 5 million workplaces are expected to be impacted at a total cost of approximately $97 million per year to implement (costs to decrease to $42 million per year after initial period of familiarization). ← DDT: Good for Insects, Bad for Kids?